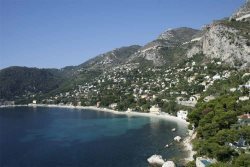 The best time to visit the French Riviera is. . .all year! Seriously, it's a beautiful region to visit whether you come in spring, summer, autumn or winter. Naturally your choice of season will determine your choice of activity but you'll always find something to to. Average temperature: 9°C/49°F. The two big world famous events in February are the Lemon Festival (Fete du Citron) in Menton and the Carnaval of Nice which occur at about the same time. It's a great time to wander into the centre of either town and hoteliers are happy to open their doors and kick off the tourist season. Average temperature: 20°C/68°F. The beach season begins. Lifeguards are on duty from the middle of the month, the water is warming up and the sun is at its strongest. The French summer vacation period hasn't yet started so it's still possible to get hotel reservations. The spectacular Nice Iron Man www.ironman.com competition is held every year in Nice and is an un-missable spectacle of gruelling sporting endurance and hardship under the blazing Nicois sun. Average temperature: 23°C/74°F. The French Riviera gets hot and crowded in August but I dare you to find a rainy day. The biggest national holiday in France is the 15 August and after that the visitor population dwindles. By the end of the month you can even find a place to stretch out your towel on the Baie des Anges. Les Nuits du Sud in Vence. Classical music lovers will go for the Chamber Music Festival of Menton. Average temperature: 10°C/50°F. It's a slow month as everyone is preparing for the Christmas festivities. Many hotels are closed for the holidays if not for the whole month. Around Christmas, each town displays a Crèche and many have Christmas markets. It can still be difficult to get a table in the best Resturaunts in Vieux Nice though.